Josie Reilly provides a demonstration for a class lesson. What you are most excited about with your new career: The most exciting part about beginning my career is being able to combine two of my passions together, agriculture and people! 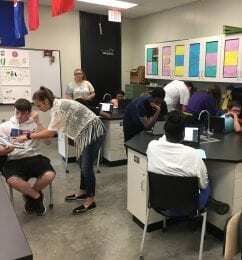 Coming here to Ark City has also allowed me the opportunity to work with two experienced teachers in our agriculture program, which I enjoy very much. We all work together well and bring out the best qualities in each other to help best serve our students. Being a part of a three-teacher agriculture program has been an awesome experience thus far thanks to my two amazing partners! 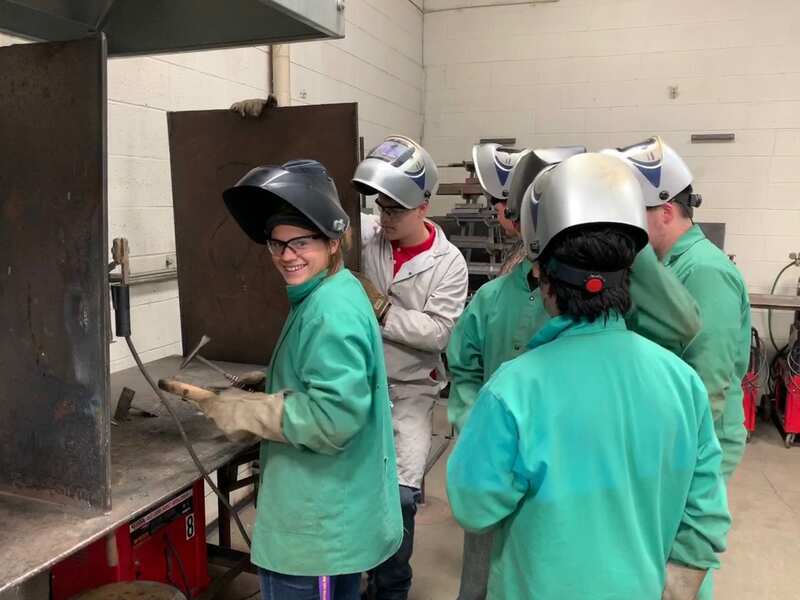 What you enjoy most about teaching: My favorite thing about teaching is being able to build connections with my students and fellow educators. I believe positive relationships play an extremely important role in the lives of students and being a teacher allows me to build upon them every day! Ways your school/district has supported you: I have been blessed to have an administration and school district who supports our agriculture program in many ways. I appreciate the warm welcome I received being a rookie and trust they put in me to do my job well. Any time our program has a need, our school has always backed us up. I have always felt comfortable asking questions and seeking advice from our administration and staff. It is great to be a part of a school who bends over backwards to help their students and teachers be successful. Specifics about your background that make teaching the perfect fit for you: Coming from a family of teachers, it has always been in my blood! Having both my mother and father as teacher then seeing how both of my sisters fell in love with the profession too, I knew I was right where I needed to be. I love being able to help educate the next generations and encourage them to make a positive impact in the world. I can’t picture myself being this happy with any other career! Other thoughts: I would like to say thank you to my family, teachers and friends who have supported me in my journey to becoming an agricultural educator. I am excited to finally be beginning my career and can’t wait to see what life has in store for me! We decided to go down memory lane with some of your COE professors and ask them what “technology” they had in their classroom for their first year. We asked your former professors: What’s one of the funniest/silliest mistakes you made as a first-year teacher? It’s nearly time for assessments, so we’re offering some tips to help you make the most of it! Let your students’ parents know about the approaching assessments. Give students and parents an idea of what the assessments will cover. Remind your students that they’re prepared for the assessments. Encourage students to eat well – especially breakfast – before a testing day. Have students drinking adequate amounts of water. Encourage them to do their best – and be proud of them when they do. Know that some students are taking tests in more than one content area, so understand if they’re especially stressed. 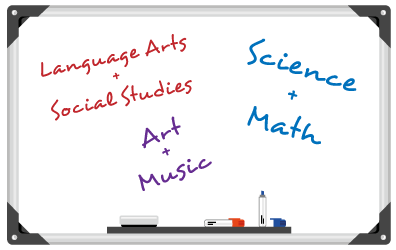 If your students are preparing for tests, try to balance that with enjoyable student-focused activities. Try not to stress over these assessments; you’ve been preparing your students throughout the year with all your engaging activities and assignments. Smile. Your calmness and confidence will carry over to your students. And, just to balance things a bit, check out this article on creative teaching activities that DON’T involve filling in bubble answer sheets: Bubble Test Rebellion. EdCats continues to grow! Are you a part of this great network? We want to help beginning and early career teachers like you thrive in your career! 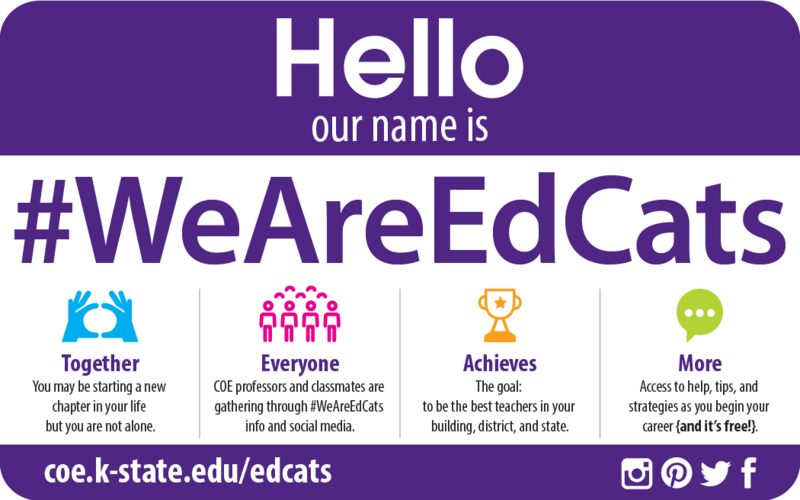 Check out #WeAreEdCats for teaching tips and to stay in touch with the COE! Check out the website at coe.k-state.edu/edcats. Why don’t you send us a photo of you at work in your classroom! Or, do you have a question about classroom procedures? A suggestion for a topic we should address in Before the Bell? Want to add your name to our mailing list? Or provide a different email for our list? At the very least, just email and say hi! Early-career teachers, feel free to jump in and offer suggestions to those who are following your career choice! 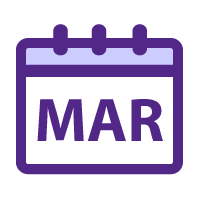 We’d love to hear from you, so please email us at lagoodson@k-state.edu. Spring is in the air! Well, in between snowflakes–but we’re getting close!